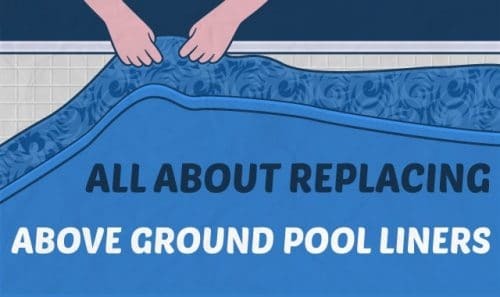 Home » Buying Guides » Do You Need Ground Pool Liners? Ground pool liners are an essential part of your pool. It helps keep the water in and protects the pool walls and flooring. If you choose one that has a soft cushion effect, you will also be able to install your above ground pool in a cemented or hard surface area. A ground pool without any liner can be hard on the feet, dangerous for those who tend to jump around and hit the ground heavily. If you choose a dark colored liner, it can absorb UV rays from the sun and heat the water quicker. If you live in an area where you don’t need quick heating, then the lighter colored ground pool liner will be a better choice because it will reflect the solar heat, and keep the water cooler. A ground pool liner will also make your pool look more decorative and attractive. There are now quite a number of design and texture choices you can choose from. It may not be as many as the kind of tiles you can choose in a in-ground pool, but it will make your above ground pool look great. If you are energy-conscious, the dark ground pool liner is an excellent energy-saver if you compare it to the lighter colored liner, and you can keep the water in the pool heated longer with the darker liner. There are two different kinds of ground pool liners like the overlap and the beaded. The main difference between these two liners is the manner by it attached to and held in place in the pool. For example, the beaded liner wrap itself around the top edge of the pool wall. On the other hand, the overlap is placed beneath the top railing. The standard ground pool lining usually comes in 20 gauge thickness and in the usual pool blue color. This means if you want a different look it will mean additional costs, but the results will be magnificent, and very stylish compared to the stock, factory liner. 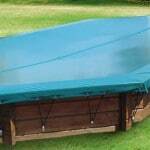 Without ground pool liners, your pool be more likely to get damaged and tear. It can also mean injury if you accidentally hit your head against the pool floor, and there is no lining to help cushion your fall. Since a ground pool is a major investment, costing anywhere from $500 to over $1,000, adding a bit more to your purchase will be worth it. You can also buy replacement liners should the one you initially bought gets damaged or starts to look old and tired. Finally, with replacement liners, you can revive your ground pool and make it look like new again.